An adverse supply side shock is an event that causes an unexpected increase in costs or disruption to production. 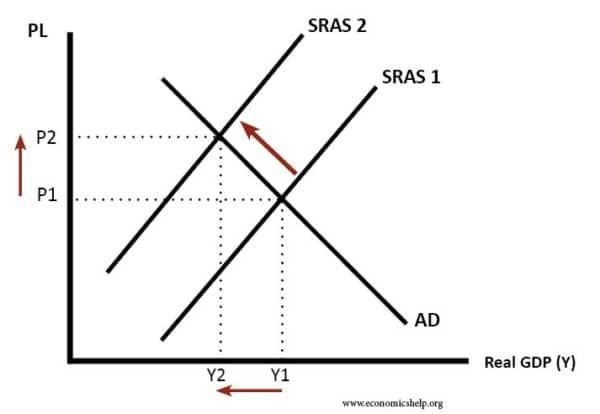 This will cause the short-run aggregate supply curve to shift to the left, leading to higher inflation and lower output. SRAS shifting to the left causes a higher price level and lower real GDP. 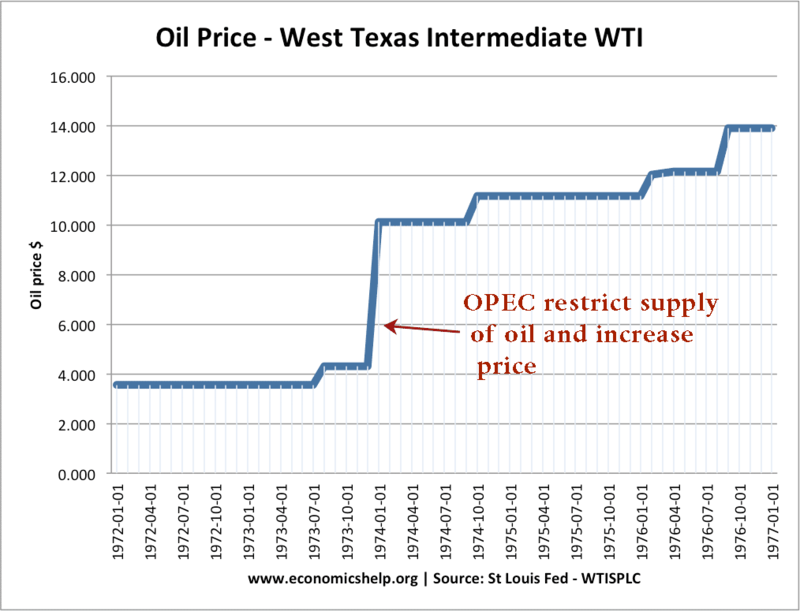 Rising oil prices e.g. 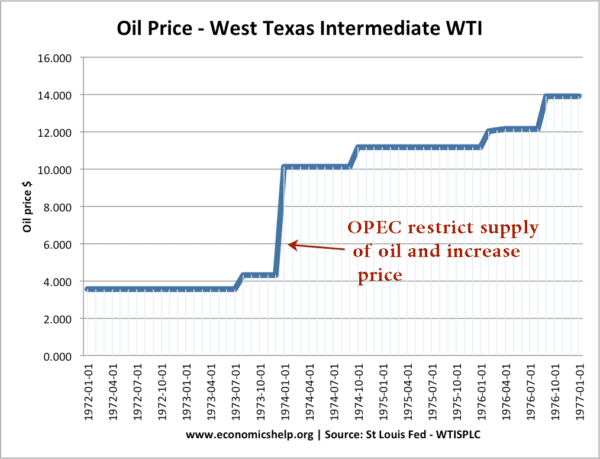 cartel activity by OPEC restricting supply and pushing up prices. Bad weather – Hurricane Katrina disrupted supply in the US. 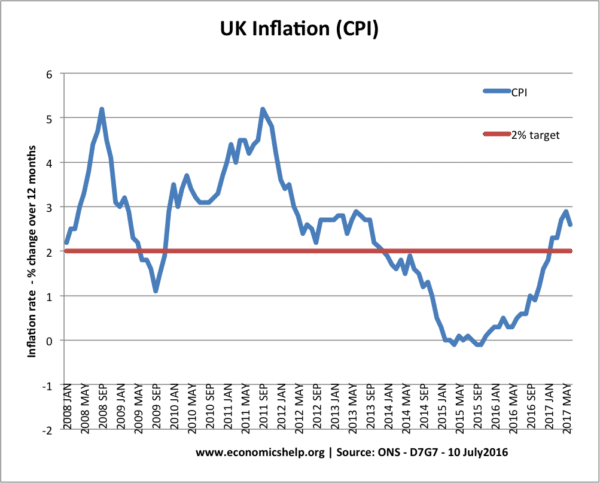 Wage-push inflation. The 1970s were generally a period of rising wages, leading to cost-push inflationary pressures. Devaluation/depreciation in the exchange rate. 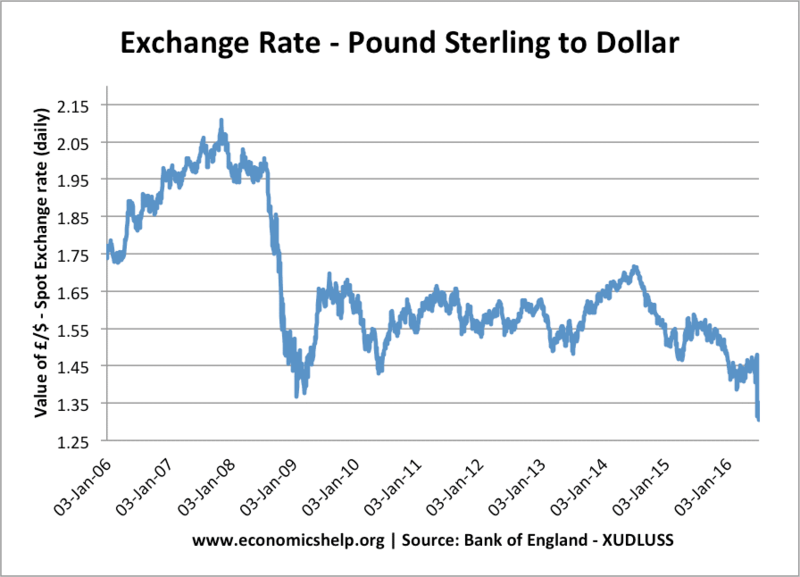 A depreciation in the exchange rate causes import prices to rise and this can lead to inflation. A rapid devaluation can cause a significant increase in inflation. A consequence of a supply side shock is cost-push inflation. This causes higher inflation due to AS shifting to left. The difficulty of a supply side shock is that conventional monetary policy cannot deal with both higher inflation and lower real GDP at the same time. For example, in 2009 and 2012, with cost-push inflation, the Bank of England kept interest rates very low at 0.5% – because they were more worried about fall in GDP than the rise in inflation.